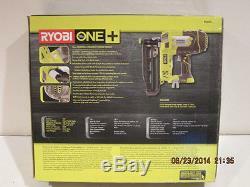 THIS SALE IS FOR A BRAND NEW FACTORY FRESH, FACTORY SEALED RETAIL BOX, NEW, NEVER OPENED, NEVER USED, RYOBI P325. 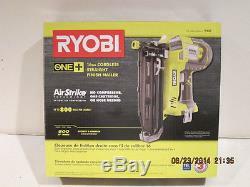 The Ryobi 18-Volt ONE+ System introduce the third addition to the AirStrike line-up. 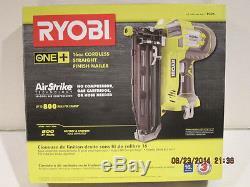 This 16-Gauge Finish Nailer features Airstrike Technology, which eliminates the need for noisy compressors, bulky hoses or expensive gas cartridges. 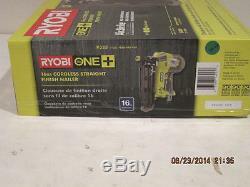 This means faster setup and easier maneuvering on the job site. 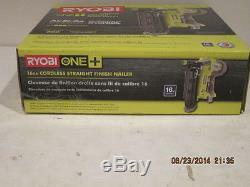 The Ryobi one plusAirStrike16-Gauge Finish Nailer drives 16-Gauge finish nails ranging from 3/4 in. 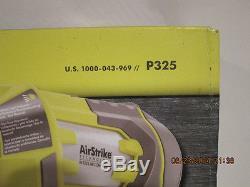 Airstrike technology provides cordless convenience, eliminating the need for a compressor and bulky air hose. Selectable drive shift with single sequential or contact actuation. 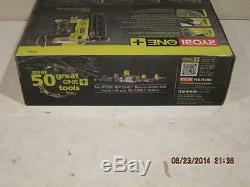 Tool less depth-of-drive adjustment helps protect work surface and allows proper setting of finish nails. Single sequential mode for precision placement. Convenient adjustment dial regulates air pressure for optimum results. 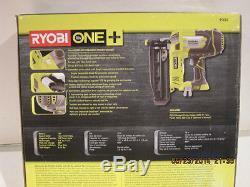 Dry-fire lockout feature extends tool life. 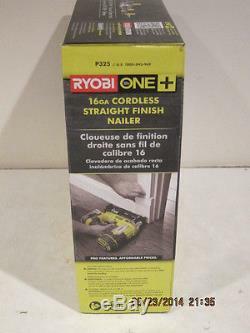 Low nail indicator to quickly and easily see when it is time to re-load.